The month of April 1970 was a momentous occasion in the history of both the European Cup and British football. Thus far, the champions of England and Scotland had never been drawn to confront each other in the continent’s most prestigious and glamorous competition, and so nobody was able to claim the unofficial title of ‘best team in Britain’. Now the two strongest teams in their respective nations were propitiously paired to meet each other at the semi-final stage of the tournament. The dates of 1 and 15 April and would be writ large in the minds of every true British football fan as Celtic were to face Leeds to finally settle the argument of who was the best team on these Isles. Even better, the victor would claim their rightful place in the European Cup final. This time the winner really would take it all. In terms of European pedigree, Celtic were certainly the stronger side. They lifted the trophy in 1967 and were now embarking on their fourth consecutive season in the European Cup. For Leeds, this marked their first ever entry into the competition, but they couldn’t be regarded as novices on the European stage, having lifted the Inter-Cities Fairs Cup in 1968, finishing as runners up the preceding season. Nevertheless, many English commentators voiced the suspicion that Jock Stein’s Celtic had peaked with their victory in 1967, which favoured Leeds who were on an upward curve, with Don Revie’s side starting to add trophies to their cabinet after a frustrating sequence of near misses. The performances of Celtic in the European Cup since 1967 may have added weight to that view. Whilst establishing a dominance of domestic honours, their form in Europe was falling below expectation. Their first defence of the cup ended with a first-round defeat to the unfancied Dynamo Kyiv. 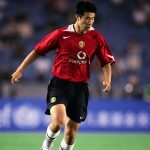 The following season AC Milan dispatched them at the quarter-final stage, preventing a semi-final clash with Manchester United. Since that glorious night in Lisbon, Celtic had played eight European Cup games and gained victory on just two occasions. They were also extremely fortunate to have progressed so far in this tournament. In the first round they cruised past Swiss champions Basel before meeting the Portuguese giants Benfica. Celtic destroyed the former holders 3-0 in Glasgow yet somehow contrived to throw away the advantage in Lisbon as a last-minute strike from Diamantino levelled the tie on aggregate. Extra time failed to produce a decisive goal on a rain-sodden pitch as Celtic held on. In previous seasons this would have meant a playoff decider at a neutral ground, however UEFA had decreed that the outcome would be decided on the toss of a coin. The two captains and their respective managers gathered in the referee’s room at the end of the game, while both sets of players waited nervously in their dressing rooms. Celtic captain Billy McNeill called correctly, and the Bhoys were through to the quarter-finals. They put three goals past the Italian champions Fiorentina in Glasgow, which meant a 1-0 defeat in Florence ensured that they were in the semi-finals for the second time in four years. Celtic’s home form – three victories, eight goals, none conceded – took them there. Leeds’ progress to the semi-final was relatively straightforward, benefitting from some favourable draws. They crushed Norwegian champions SK Lyn Oslo 16-0 on aggregate with eight different players getting on the scoresheet to start the campaign. In the second round they faced Hungarian side Ferencváros, who they had defeated the previous season to claim the Inter-Cities Fairs Cup. They were dispatched 6-0 over two legs. In the quarter-finals, Standard Liège from more obdurate opponents, but by winning both ties 1-0, Leeds had progressed to the semi-finals, an imposing statement on their European Cup debut. They had scored a mouth-watering 30 goals but, more importantly, had yet to concede a single one. As the semi-final showdown approached, both clubs were in pursuit of domestic honours. Celtic had already taken the League Cup by beating St. Johnstone the previous October. They were through to challenge Aberdeen for the Scottish Cup in the final on 11 April, having already secured the league title by the middle of March. In contrast, Leeds appeared to be undertaking the labours of Hercules. As the fixture approached, they were competing on three different fronts, and it seemed that the secretary of the Football League, Alan Hardaker, was doing everything in his power to thwart their quest for glory. By mid-March, Leeds were top of the table with just seven games remaining, but already the toll was telling on Revie’s squad. The club doctor warned the manager that six of his first-choice team were on the verge of nervous and physical collapse as they tried to deliver the treble that the manager had demanded at the start of the season. Leeds encountered Manchester United in the FA Cup semi-final on 14 March. Revie knew his side were just one game away from Wembley, but it didn’t work out in the manner he had planned. The first game ended in a goalless draw after extra-time. The replay was on 23 March, just two days after they had beaten Wolves in the league. Once again neither side could score so. just three days later, they met again; this time a goal from Billy Bremner ensured a visit to Wembley. The Yorkshiremen played 330 minutes of football to progress whilst Celtic endured just 90. The Tykes were due to host Southampton in a league fixture just two days later, followed by an away clash at Derby on the 30th and then the first leg of the European Cup 48 hours later. After having just endured a Herculean schedule of six matches in 15 days, something had to give. Although vehemently denied by both Revie and his playing staff, it appears that the manager made the pragmatic decision to prioritise the two cup competitions over the defence of the league title. Seeing an unparalleled opportunity to rest some of his key players for six days in preparation for the Celtic duel, Revie packed his side with reserve players such as Belfitt, Galvin, Hibbitt, Lumsden, Yorath and Albert Johanneson. Unsurprisingly, Leeds lost the next two league games, inciting the fury rather than the empathy of Hardaker, who refused to accept Leeds’ medical documentation of an injury crisis and fined the club £5,000. Revie’s response was both succinct and unprintable. The insular English tabloid press had earmarked an easy victory for Leeds, but more considered correspondents such as Brian Glanville highlighted the threat that Celtic would pose. Although 48,775 had crammed into the stadium for the quarter-final contest against Standard Liège, the decision of the Leeds board to increase admission prices for the Celtic clash raised the hackles of the more parsimonious element of the home support and a below capacity attendance of 46,381 reflected this. As ever, Celtic were urged on by a vociferous legion of support who, despite being outnumbered, made their presence felt with an eardrum-splitting fervour. For the Scottish players in the Leeds team, and especially for captain Bremner, a lifelong Celtic fan, there was added pressure to perform on this occasion. 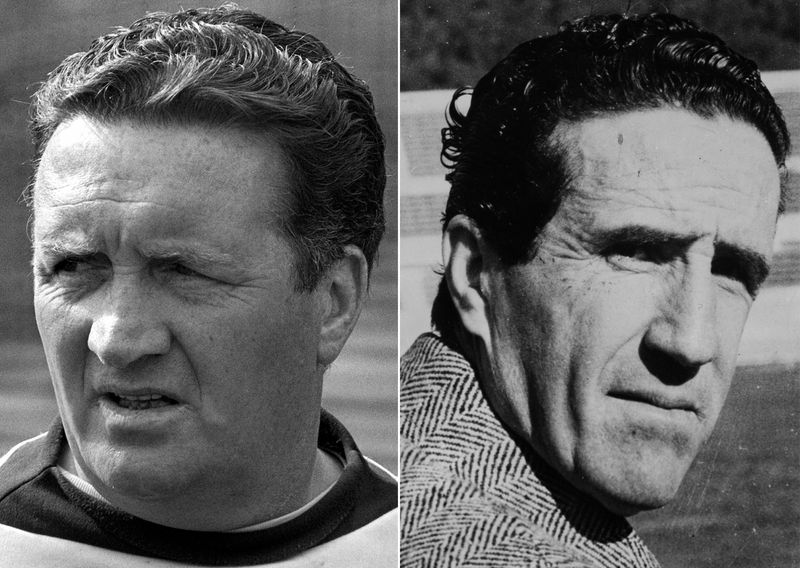 Although Celtic boss Jock Stein was only five years older than Don Revie, he was a far more experienced campaigner. Whereas Revie’s penchant for superstitious omens could sometimes negatively impact upon his players, Stein was a master of using psychology to telling effect. and he contrived to unsettle the Leeds captain who he knew admired him. Just before kick-off, he approached Bremner and commented that he and some of his players were looking tired. He cleverly planted a seed of doubt in his opponent’s mind as, with their recent gruelling schedule, Bremner knew his colleagues were fatigued. Meanwhile, Revie stressed to his team the importance of not conceding a goal and taking the game to Celtic. It appeared they hadn’t listened. After just 90 seconds, the normally reliable Paul Madeley failed to clear the ball and it fell to young midfielder George Connolly, whose shot was deflected past the helpless Gary Sprake in front of the thousands of ecstatic Celtic fans who were packed into the Scratching Shed. Revie, who was famed for his meticulous pre-match planning, hadn’t expected Stein to field the young Connolly. Leeds chose this evening to offer one of their most uninspiring performances of the season. Jimmy Johnstone terrorised Terry Cooper, the man called “the world’s best full-back “by his manager. Without the injured Norman Hunter to protect him, Cooper was struggling to cope with the masterful Johnstone, who hugged the touchline and left the defender chasing shadows as he jinxed his way through the defence. Celtic even had a potentially decisive second goal denied for a dubious offside call. Bremner was a subdued figure throughout the evening and was eventually stretchered off with concussion. When the final whistle blew, Revie knew that his side were lucky to be trailing by a solitary goal. Bremner also claimed in his book Keep Fighting that the lacklustre performance was partly due to certain players wanting to avoid injury for the FA Cup final ten days later. He failed to account for the fact that Celtic were also due to play a cup final then. The press reports the following day made depressing reading for anyone of a Leeds persuasion. Most commentators claimed that Leeds had been both outthought and outplayed. The London-based media, which always loathed the perceived style of football with which Leeds had been associated, crowed that they had simply received their just desserts for prioritising the European trophy over the defence of the league. Even the local Yorkshire Evening News felt that this was one game too far for the team and that “the elastic had gone”. If Leeds were looking for empathy, there was little to be found. Understandably, the coverage in Glasgow was far more celebratory. The Glasgow Evening Herald drooled that Celtic had “whipped Leeds in every phase of the game” and praised Stein for his tactical masterclass. As the Celtic team arrived back by train at Glasgow Central the following morning, they were greeted by thousands of ecstatic fans on the concourse to celebrate their victory. Leeds continued to suffer under Hardaker’s inflexible intransigency. It defies belief that he expected them to play a league fixture in London at West Ham the following evening. Fearful of further financial penalties and a possible points deduction, Revie picked a number of first-teamers for the game. His reward was to see full-back Paul Reaney break a leg. It was a cruel twist of fate; Revie had every reason to believe that the football Gods were conspiring against him. Although Revie would have preferred to have been drawn at home for the second leg, he still felt the deficit was recoverable and that the team’s destiny remained in their own hands. He calmly reminded his players of their mantra of “Keep Fighting”. which pervaded every echelon of the club. 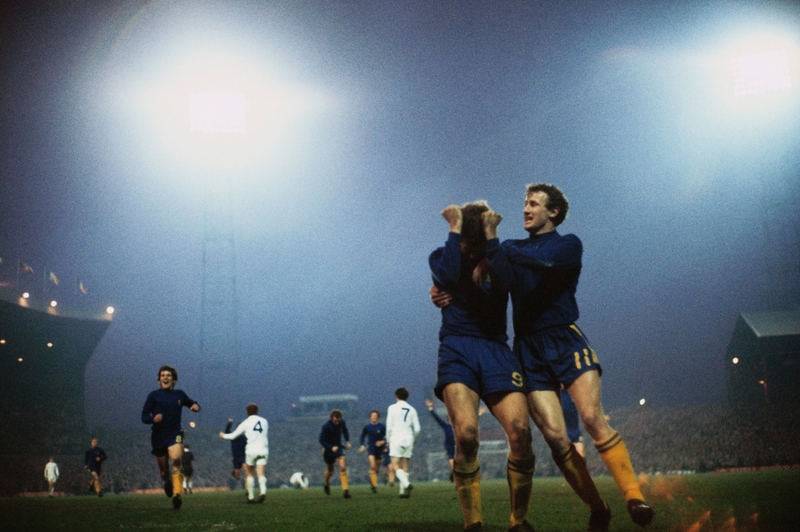 Leeds were still in the European Cup and he brayed to the gloating, doubting London media that “we never give up hope”. Both teams faced the challenge of their respective national cup finals on 11 April. With their victory in Leeds. Celtic’s confidence was bubbling over and the team and their fans were fully expecting glory to be delivered at Hampden Park to complete a domestic treble. Their opponents were Aberdeen, who finished the season in eighth, 22 points behind the champions. However, the last time they clashed, in March, Aberdeen defied the odds and left Parkhead with a 2-1 victory. The warning was there. Despite that, Celtic were odds on favourites to swagger past the Granite City side. Aberdeen could approach the encounter in a relaxed frame of mind. The Dons were awarded a controversial penalty in the first half, which Joe Harper converted to put his side ahead. Minutes later, Bobby Lennox thought he had equalised, but the strike was disallowed for offside. With seven minutes remaining Aberdeen scored a second, and although Lennox reduced the deficit, Derek McKay scored his second goal to hand the trophy to the Dons. Revie’s scouts in the stadium were hugely encouraged by what they had witnessed. Stein was furious with his team’s capitulation and tore into his side in the dressing room, using his favoured trick of having his coaches slap him in the face to turn it red so that it made him look even angrier. He reminded everybody that a similar performance in four days’ time would send Leeds into the European Cup final. If Celtic had been looking for a confidence boost before the second leg, this certainly wasn’t it. On the same day and at the same time, Leeds were confronting their bitter rivals Chelsea, whose antipathy towards each other knew no bounds. As per tradition, Wembley hosted the occasion but, due to the Horse of the Year event having taken place on the hallowed turf recently, the heavily sanded pitch was an energy-sapping quagmire. Despite the conditions, both teams somehow contrived to produce one of the classic finals. Jack Charlton put Leeds ahead but a calamitous mistake by Gary Sprake just before half-time allowed Peter Houseman to notch an equaliser. Revie’s side dominated the second half and, with just seven minutes remaining, Mick Jones scored what appeared to be the winning goal. Revie was desperate to tell his players to “shut up shop” but was prevented from doing so by a number of burly constables. Three minutes from the end, Ian Hutchinson levelled the match. Extra time ensued but the score remained the same. It was typical of Leeds’ fate that this was the first FA Cup final since 1912 that required a replay. The side had endured 120 minutes of gruelling, competitive football on stamina-sapping terrain. Revie gave his players the next day off before travelling to Glasgow on the Monday. At the team hotel in London that evening, he told his players he would give a year’s wages to beat Celtic and duly pledged the sum for the players’ pool. Stein knew the important role the home crowd could play and switched the tie to Hampden Park, which meant that a crowd of 136,505 crammed into the old stadium, a record for a European Cup tie that stands to this day. Revie was boosted by the return of legendary hard man Norman Hunter, and detailed him to dovetail with Terry Cooper to effectively double mark Jimmy Johnstone, who had tormented Leeds in the first leg. Paul Madeley switched to right-back to deputise for Reaney. Earlier in the season, Stein witnessed John “Yogi” Hughes score two goals against Jack Charlton when playing for the Scottish league against English league and noted how he gave the defender a torrid time. Stein recalled him in place of Willie Wallace to lead the attack, with instructions to unsettle Charlton at every opportunity. Revie had been determined to attack from the start and grab an early goal to turn the screw on Celtic. 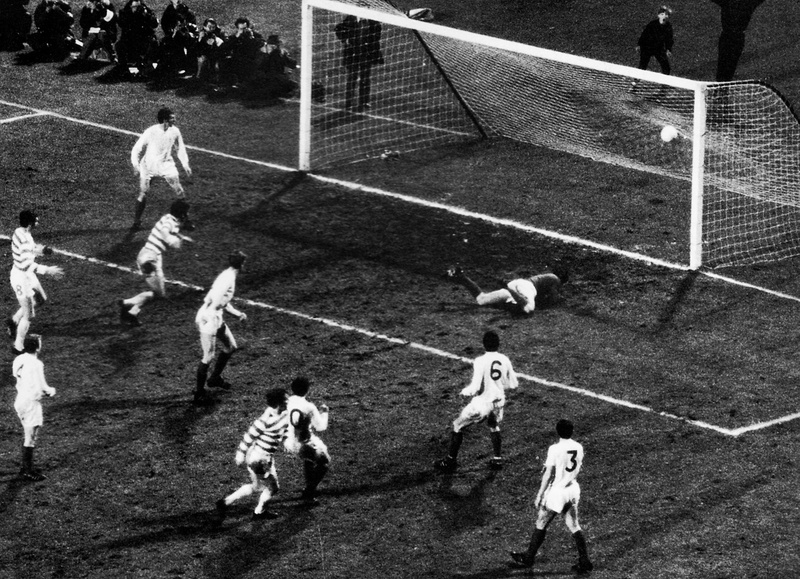 On 14 minutes, Bremner, perhaps determined to make up for his underwhelming performance in the first leg, hit a right-footed screamer from 30 yards that crashed into the net off the post to silence the Hampden Roar. Bremner celebrated with unrestrained joy as Leeds levelled the tie, belief surging through their veins. Leeds dominated the first half but, as the interval approached, with Johnstone in irrepressible form, Celtic pressed for the equaliser. Fortunately, Sprake, keen to redeem himself for his Wembley debacle, produced a series of brilliant saves. Revie’s tactics appeared to be working. After Stein’s harsh words at half time, Celtic, urged on by a wall of sound emanating from the terraces, bombarded Leeds. In comparison, the Whites started to feel the debilitating effects of their demanding fixture congestion and seemed sluggish in comparison. Two minutes after the interval, the Leeds defenders failed to deal with a short corner as David Hay played a neat pass to Bertie Auld. Yogi Hughes flung himself at the resulting cross, muscling out Charlton in the process to head in a spectacular equaliser. As things stood, another Leeds goal without reply would ensure qualification on away goals. Fate was to intervene again. Hughes was involved in a clattering collision with Sprake, who had to leave the field to be replaced by David Harvey. Five minutes later, with Celtic launching an onslaught on the Leeds goal, Johnstone swivelled into the penalty area with a dummy that left Hunter floundering and played the ball back to Bobby Murdoch, who hit a fierce, low drive that slipped through the hands of Harvey into the net. Leeds were distraught – the game was effectively over. Celtic were into the European Cup final and could rightly claim to be the best side in Britain, but under Scotland’s draconian licencing laws, which meant that pubs had to stop serving alcohol at 10pm, their fans would have found scant time for celebrations. Most pundits confidently expected them to win the final against Dutch champions Feyenoord, and when Tommy Gemmill opened the scoring, Celtic appeared on course for victory. However, the Dutch, exhibiting the innovative style of Totaalvoetbal for which the country was to become renowned, outthought the Scots to win 2-1 after extra-time. Revie could only watch on in frustration. Still, at least Celtic ended up with two trophies.